Las Vegas known for its Risque nightlife and glamorous casino resorts that draw crowds from around the world but not just to gamble and gawp. In modern Las Vegas, top chefs dish up global flavours, while boutique hotels, fashion-forward shops, art galleries and chic clubs attract even gambling neophytes who can’t tell a full house from a flush. 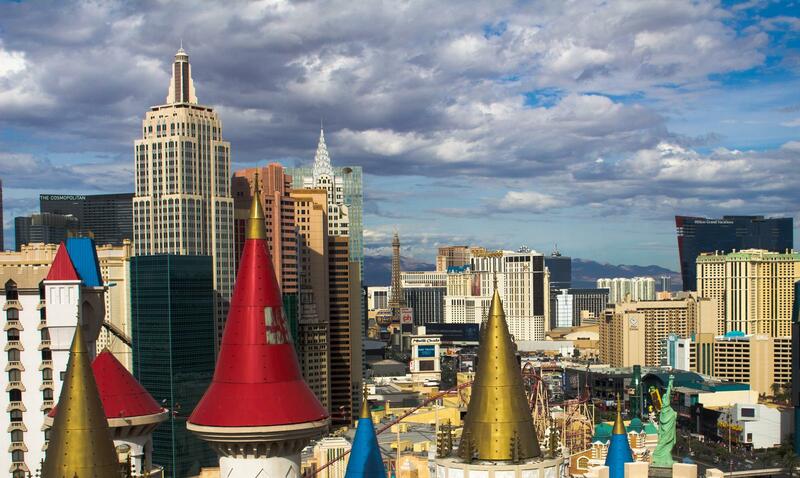 Las Vegas is perfect to visit Year-round. Many locals take flight during the searing-hot summers, but hotel resort pools and low, low hotel prices make summer a fabulous time to visit. It can get chilly in winter, but flower-filled conservatories make Vegas seasonless. Renting a car is generally inexpensive, though, for a higher price tag, you can rent Bentleys, Ferraris, and other luxury cars. Valet parking is free in the casinos (tip from $3). Rates for the Las Vegas Monorail, which runs from the MGM Grand to SLS Las Vegas and stops in seven places, start at $12 for a day pass. July is the hottest month, with an average high of 106°F (41°C). December is the coldest month, with an average high of 58°F (14°C). Hotel prices rise and fall dramatically in relation to the massive conventions held in town, and many hotel companies show their rates on calendars several months out. Search the Las Vegas Convention Calendar to navigate around to get the best prices.